How to Use "Nail Kukan"
1.Please chose your favorite Nailist on this site. 2.Call to (or Mail to )the Nailist and make a reservation. 80% my custmer are foreigners at this moment. I'm always looking for something interesting nail art job. I can join session, photoshooting, etc as well. Especially I'm good at painting design. Please check my art works! My hobby is my cat, traveling, riding a horse. I lived in Ireland for a year. etc...you can check my website. Please send these information for your appointment. 6. Which kind of service do you need? My service is available privately at home, office, bridal nails and also available to book for events/parties too. 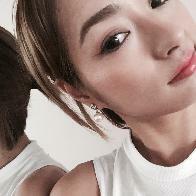 I am a freelance Nail artist, who is taking advantage of experiences in both Tokyo and London. Please do not hesitate to ask for any information. 2008 Worked as a manager at the nail salon in Ikebukuro and Sinjuku in Tokyo. 2015 Moved back in Japan, opened her own salon ‘Nail Studio Zwolf’ in Saitama, Japan. My hobby is to listen to music.i like house/techno music.sometimes go to the night club,then enjoy having a drink with friend! I`m an English-speaking nail technician,YUKA! I studied chromatics,so I`m good at choosing colors which match with your skin tone. I also like cool and stylish nail designs. I do consultation before starting to know your nail type,your lifestyle and your needs, so I can give you best performance. It`s very important for me to create long-lasting nails and keep them healthy,less damage as well as satisfy clients!! I want to add colors to your daily life. Visit me to get your nails done to keep your great memories in Japan!! I`m looking forward to seeing you!! 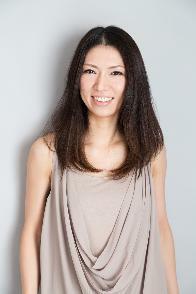 I`ve been doing nails for about 14 years and have experience working at salons in Roppongi,Ebisu and London. I also hold licenses for New York Nail Specialty,CalGel educator and Japanese nail qualifications. I was born in Tokyo and grew up in Chiba. I`ve lived in New York and London for 5 years in total,studying nail and makeup and working. I love traveling,going out with friends and enjoy yoga and salsa! Please make sure how long your treatment takes when you book the appointment! wouldn't able to communicate your wants and needs? No worries! I studied for 3 years at high school in Massachusetts. 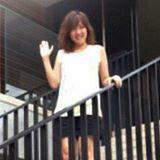 Tokyo area manager of nail department. I was born in Tokyo Japan and lived in Massachusetts for 3 years. I had my own salon at Ebisu Tokyo. 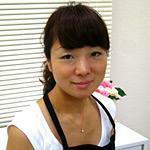 I currently work as a freelance manicurist in Omotesando Aoyama. I like traveling around the world. I enjoy snowboarding and shopping. Appointment required. Please send your request to the below e-mail address. Making my customers feel comfortable is of high priority. Before I begin working on your nails, I briefly interview you on the conditions of your nails. I am conscious of my customers' needs so I will spend some time discussing what you want to have done on your nails. Please relax and enjoy the experience of having your nails done by me. I am an experienced nail artist since 2003. I worked at a nail salon as a team leader in Japan. And I have worked at nail salons in Sydney and Vancouver as well. I have seven years high experience in nail art design.I am good at freehand drawing art ,gel nail and acrylic sculpture. What types of nail art and designed would you be interested in particular. Please feel free to contact me if you have any questions. Nail art and beauty are everything to me ! "In Order to be irreplaceable, one must always be different. (Coco Chanel)"
-Nail specialist training school (2010), Japanese beauty technical school(2008), language school in LA(2016). 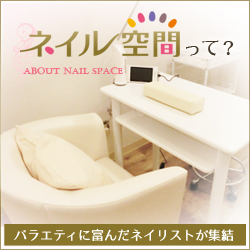 nail salon in Tokyo(2010～2013),open private salon in Tokyo and Nagano(2013),nail salon in Los angeles(2014～2016). Copyright (c) 2014 Dibri. All Rights Reserved.